CarComplaints.com Notes: Beware of the NHTSA complaint data for the 2003 Camry. It is almost certainly misleading. The problem with NHTSA data for the 2003 Camry is that for months on end, the news media repeatedly told the public that several Toyota models had an unintended acceleration defect, & to go to safercar.gov (the NHTSA's website) to file a complaint. CarComplaints.com typically receives more complaints per day about vehicles than the NHTSA does, but the news media did not repeatedly say "go to CarComplaints.com to report your Camry acceleration problems" like they did about the NHTSA -- so although we have less complaint data than the NHTSA for the 2003 Camry, our data for the Camry is a far more statistically accurate representation of the Camry's reliability than what the NHTSA data shows. 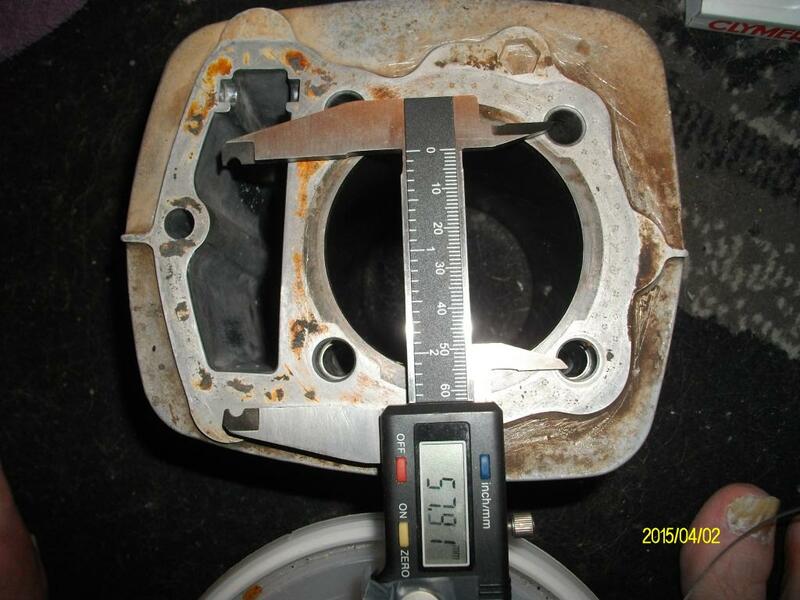 Toyota Camry Stripped Headbolt Repair - You Tube video showing how to repair this problem. I'm hoping someone from Toyota, especially, Toyota of Gainesville, FL. reads this. I purchased a used 2003 Camry from this dealership, purchased extended warranties twice, had ALL services performed at same dealership. The car ALWAYS consumed oil, said to be normal, ALWAYS lost coolant, at 170K the dreaded, widely known head bolt stripping occurred. Only option given was a rebuilt engine... at $6K. In between a rock and a hard place (could pay thousands or so for work already performed to get to this point AND buy another car with who-knows what issues, OR pay for a used engine, which is what I did ). My sole complaint is that although this is a known issue, so much so that Toyota HAS a repair for this issue - at my cost of course, that I couldn't get any assistance from dealer ship OR Toyota in paying for this repair when it IS a known issue with lots of complaints and given ALL the previous money given to this dealership. Toyota owners in Gainesville, Fl. beware. So the car was driving normal and for last 4-5 months I used to get a liquid sloshing sound whenever I press on gas pedal. took it to 2-3 repair shops and everyone said no problem, its working fine and not to worry about it. Some said there could be A/C drain issue or air in the coolant which can be removed by doing coolant flush. But yes there were signs of coolant leak and one shop replaced the radiator cap. On 12/19 check engine light came on suddenly and I took it to dealer who replaced ignition coils and spark plugs. Got the car back same day. In the evening drove around for 2 miles max and check engine light came back again. Took it to the same shop next morning and they found spark plug 3 had some orange color liquid (mostly coolant) and possibly some water on head. They just exchanged coils and spark plugs and sent me home again assuring me everything was alright. I hardly drove the car for 10 miles and now engine started overheating and check engine light came on. I parked the car and after few minutes tried to start it again. It won't start, had to get it towed to the repair shop. When they looked at it next morning top radiator hose was blown so they replaced it. Drove for few miles and again found out that head gasket was blown, so advised me to replace head gasket. After a few days when the head gasket was ready to be installed, they found that 3 screws will not torque to Toyota recommendation and they concluded engine went bad (warped up due to overheating) and had to replace. I have a quote of $5000 for engine replacement with 2 year warranty and 45k miles on replacement engine,still waiting for the car !! But overall has been worst 20 days -holidays without car and heavy expense not even sure if it will last any longer -looking at the complaints for the same. My doubt is: head bolts were already loose causing the coolant to leak and that was the reason for head gasket failure and radiator hose failure as well but will never be able to find out/prove. My 2003 Camry LE 2.4 L 4cyl ran great until one day it didn't! I drove it for 135,276 miles and only had to change out a starter and normal maintenance. But one day I noticed a trickle of water coming out from under the engine, it was odd because the car did not display any operation problems. I had it towed into my mechanic and got the very bad news that it had a blown head gasket!? I thought I had a reliable toyota, you know, the ones that last for 300,000 miles? NOT SO on this model 2.4L My mechanic had explained that this particular engine has an inherent design flaw and that it was very difficult to replace head gasket because the head bolts strip out because the head bolts are steel and the engine is an aluminum block and it costs more to fix than the car is worth. He did try using the famous Blue Devil engine sealant in it as a last ditch attempt to seal off the leak, I was told it was only temporary fix and it was best to get rid of the car. Well, some folks have good results with that product but I did not! It did not work, and when I drove the car home that night it over heated for the first time on me. After that, I had a new thermostat put in by another shop thinking it might solve the overheating. After that the car could run on low rpms, and but overheated intermittently. Then the radiator blew open with a hole. I took it to someone else and he replaced radiator and flushed cooling system said it was not overheating at idle or leaking coolant. I tried to drive it home and the engine overheated, seized and lost compression towed it back to the second mechanic shop and it was determined that the engine had to be replaced. So I ended up buying an engine from Engine World out in Houston Texas, they said they REMANUFACTURED these defective Toyota engines by fixing the head bolt problem. My mechanic talked to them and it sounded like a great solution to a very bad problem. NOT SO! 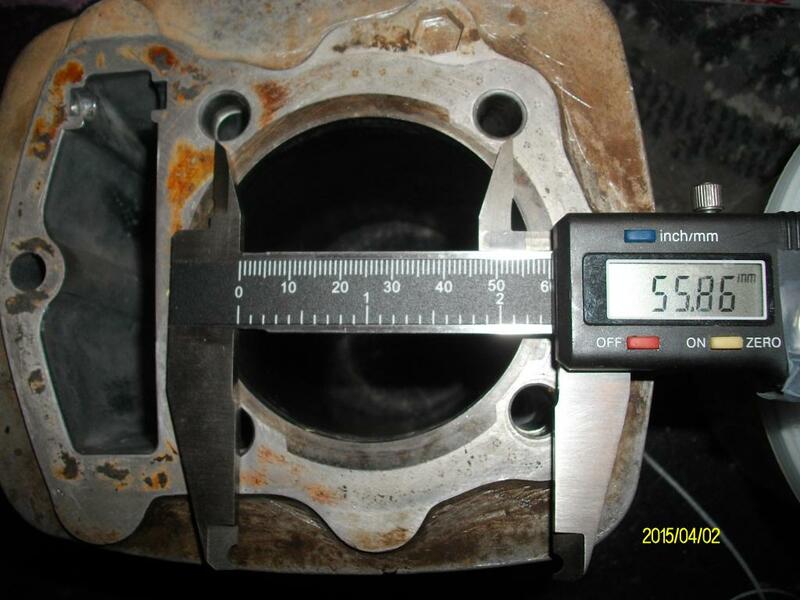 After install of the "REmanufactured engine" the engine had immediate rough idle and low compression. 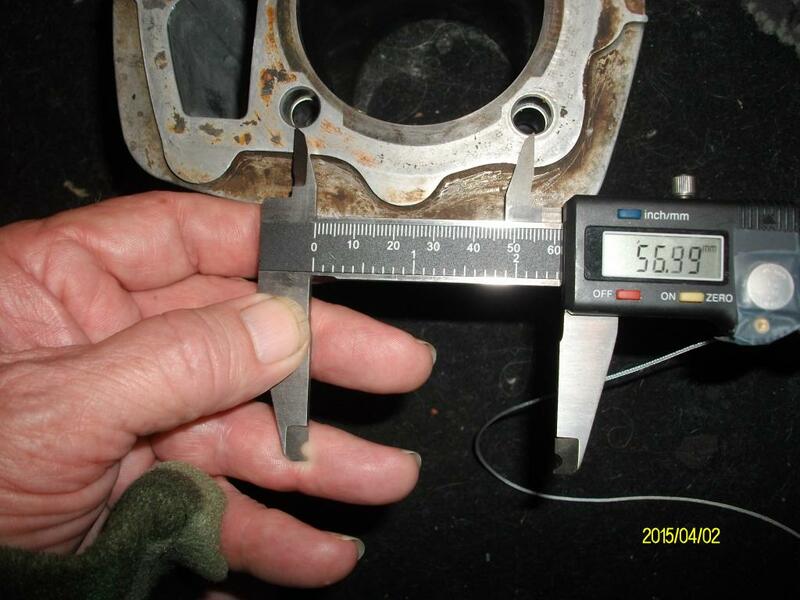 He had to do a valve adjustment to get just 152 compression measures. When 170 -190 is considered normal range. My mechanic called me and was just ill, he said he felt the engine was a used engine not the remanufactured engine we were told we were getting and that we had been scammed. I was already over $6,000.00 into repairs and now this!? After this whole nightmare I only got a little over 2,000 mile out of this "REmanufactured engine" and the same problem occured a blown head gasket!! The car died on a busy highway while I was making a left turn into the market, I was lucky to be able to cost out of harm's way that day! Toyota, shame on you for not standing by your product and helping all the thousands of customers that have been let down by this defective engine design! I will never buy another Toyota! Take this as a warning people, do not get taken like I did, do not buy a Remanufactured engine from Engine world either, read the better business bureau reports on them first like I should have done and walk away from this car and don't look back! I bought the toyota from my father car had 40000 miles of tender loving care.The tender loving care continued when I took ownership of the car.Then at 78,502 miles the engine started missing like a fouled spark plug, checked the spark plugs both spark plugs on number 2 & 3 cylinders were wet with red antifreeze. Owning Toyota’s for over 23 years, I could have been considered a happy Toyota loyalist. Between the two cars I owned, my purchase of the new 2003 4cyld. Camry seemed weird, I’ve notice a problem with the temperature gage running in the middle. This seen high because the last Toyota always run below the middle point on the gauge. When I took it in for my 15,000 mile service Toyota assured me it was normal. I didn’t think much about it at the time but when the radiator hose started leaking at 105,000 miles I was told the head gasket blew and needed to be replace. Than several thousand miles later the water pump started to leak and again, head gasket was damage. I notice a bubbling noise under the dash but didn’t think much about it, everything ran fine and no lights or problems. After reading these reviews I believe my Toyota has an inherent defect with the block. I always maintain the car to the strictest schedule standard and made repairs when needs. my 2003 Camry XLE with 132k miles was running fine, last cooling service was done by dealer at 118k. Today while driving on highway I noticed little vibration and next minute car overheating started. I stopped the car on shoulder, towed to dealer at new location. Dealer told my engine compartment is broken into 2 parts and same reason I noticed vibration in car. He also said this problem is known for these models due to age & miles. I received quote of $2,300 and I end up accepting it since I don't have much options and car is not in driving state. I asked dealer if they can contact Toyota to help me fixing the problem, he immediately said Toyota never helps in these problem and they will not contact Toyota. Update from Jan 6, 2016: Dealer said my top part of engine was also damaged. Charged me additional $1100 dollars to place used part. Final bill of $3200 to fix this problem. The engine in my 2003 Camry started to split open up like a clam shell, it was literally falling apart. I had to get some stripped bolts replaced because the spec and design were not adequate. Great engineering. I had to pay to get other bigger bolts inserted in the block and have the engine tied back together. That then killed my cat converter because radiator fluid leaked into the cay converter. That cost me over $2500. Toyota knows all about it but they don't give a sh*t. The Toyota 2AZ-FE engine is so poorly designed and manufactured, that I feel the whole engine should have been recalled. F*ckers. Update from Sep 4, 2015: The engine in my 2003 Camry started to split open up like a clam shell 117,000 miles, it was literally falling apart. I had to get stripped out bolts, which holds the block together, replaced because the spec and design of the engine were not adequate and faulty. Great engineering. I had to pay to get other bigger bolts inserted in the block and have the engine tied back together. That then killed my cat converter because radiator fluid leaked into the it. That cost me over $2500. Our Camry started making the lovely gushing noise sometime in October 2014 when accelerating from a stop. In January my husband drove it to work, and on the way in it started steaming under the hood. It didn't happen again on the way home. The next day I drove it to pick up my stepdaughter from school, but ten minutes into the drive the temperature gauge was in the red and I had to pull over. I turned on the heater and let it cool down and called my father-in-law to follow me back home, and it made it all right. My brother-in-law (who is luckily a mechanic) took a look and said our head gasket had blown and went to work on it. He found out the head bolts had stripped and ordered a repair kit. Because of additional, unexpected problems that are hopefully unrelated I still don't have my car back. We've had this car for a year and a half, and we were assured that it would be a very reliable car. It's too bad that a company that has such a good reputation, and a car that was very enjoyable to drive, has such a major recurring issue. I'm afraid that even if my bro-in-law manages to fix the car, I may still have to replace it before too long. Lesson learned: never base a decision to buy a car based solely on the reputation of the manufacturer. I am very hesitant to consider buying another Toyota, especially knowing that Toyota has refused to acknowledge the seriousness of this problem and address it. I just bought this car from a dealership about 3 months ago. I loved the ride and mileage and was told Toyotas are reliable cars. I guess I didn't research enough to find this problem...stripped out head bolts. Three head bolts on the rear passenger side had stripped out the threads on the block. My mechanic said the other head bolts had been over torqued and all the components were from the factory. He fixed the threads with helicoils and said it shouldn't be a problem again. This is my first Toyota and most likely my last. I've read too many other reports of this same thing happening to the 2.4. It should be recalled. My family and I were out of state on a trip for a funeral in February. It was very cold where we were, so I started our Camry to warm up the car. However, instead of warming up, it actually started to overheat due to low coolant. suspecting a cracked hose or a radiator issue, I searched for the leak, but could not find one. We kept the car filled with fluid, watched the temp gauge like a hawk, and limped the car home to our mechanic. Thankfully, it didn't even come close to overheating again the entire trip home. When I took it into the shop, they said that it was leaking from the head gasket. Upon further inspection, the mechanic found that three bolts near the heat shield insulation were not only loose, but actually stripped. This sounded odd to me. I have an 89 Toyota pickup that I bought brand new, and it is still running like a champ 25 years and 250,000+ miles later. I expected the same kind of service life from our well maintained Camry with less than 150,000. Stripped head bolts just sounded off to me for a Toyota, so I did an online search. Imagine my surprise when I found web page and forum after web page and forum dedicated to this issue alone. One site - camryforums.com - has 6 pages of forums dedicated to this issue. Six pages. All of them with the same exact issue - coolant leaks from the stripped head bolts next to the insulation. And there are more sites and more forums than just that one. Considering that only a small percentage of people are going to file these kinds of complaints or post on an online forum, this is a HUGE problem with these cars. They should be recalled and repaired. I bought a Camry because I heard they were the best cars to buy. But I would have never bought one if I had known the head bolts could break off in the engine apparently for no reason other than its time for a new car, says the Toyota dealership mechanic I took my car too. The car seemed fine until I began to smell coolant after driving it. The next morning my check engine light came on so, I took it in to be serviced. I paid $85 for the mechanic to only inform me that it would take another $3800 to replace the engine. Better than that now I'm finding out that replacing it won't solve the problem because it's a factory defect. I think Toyota should recall these engines and repair our vehicles. "The head bolts are coming out of my engine block. The rear engine is full of coolant. Seems all rear bolts are coming out of head"
Tech SAID this was a defect. I look it up and find hundreds of complaints about the same issue with the same engine. Toyota NOT owning to it. This was my second Toyota. I am done with them. Has anyone replaced their engine and if so, how did you ensure you did not purchase the a replacement engine with issue? 2003 Toyota Camry. I have taken really great care of my car. Just invested new tires, shocks, brakes. Driving home from work, heater stopped working and started to overheat. Total loss of coolant due to head bolt failure. I see that this is a common complaint for this engine NOW. If Toyota took responsibility for this defect earlier, I would not have put any money in the car the last few months. Now I am forced to replace the engine or apply the head bolt fix of re threading new and larger bolts. I'm finished with Toyota! After having a certified Toyota Mechanic look at our car and he diagnosed the problem I contacted Toyota Customer Service to see if they would help in anyway and to see if this was something they may have recalled for. They said no one had had this problem. They have had to have complaints because when you Google Stripped Head bolts on 2003 Toyota Camry it's amazing how many people have had the same problem so I know it's not just us this has happened to. It makes us sick. We have really enjoyed this car till now and now all HELL has broke loose. I planned on all my medical expenses and had put money back for them but not for this kind of repair bill on our car. I thought Toyota would stand good on their reputation but they could care less. Bad thing is we just purchased a 4Runner 3 years ago. I guess it's time to can it and the Camry. SCREW TOYOTA. We'll never purchase another one. Update from Sep 9, 2013: We had to have it fixed. $1,300 later and Toyota stills acts like it's not a problem even though we've seen hundreds of others with the same somplaint. Toyota should have a RECALL now. I have a 03 toyota camry xle overheating just started happening today, coolant does not seem like its getting to the engine but what i have read about anybody else camry, it sounds like i have the same problem with the bolts. Compared to others who've encountered this defect, we got off early by catching the problem before it fried the engine. An early symptom is white smoke when starting a cold engine. If you see the smoke get it checked out. We actually had the smoke for at least a year. Didn't do anything about it since there was no other problem with the car. We got lucky. Used engine now appears to be leaking coolant at around 70000 miles. It is my opinion that these engines have a serious flaw that Toyota says doesn't exist. We are fed up with toyota and will never buy another vehicle from them. Of all the cars owned in over 40 years have never replaced an engine. If anyone knows of any other fix that will last I would be very interested. Real unsure of replacing again and having the problem appear in engine #3. The engine block is aluminum and the bolts are steel. 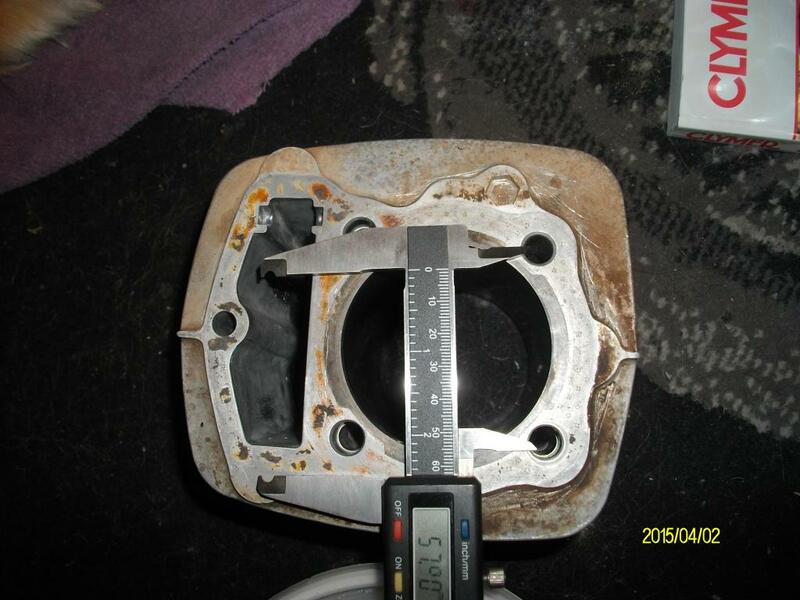 The engine vibration caused the aluminum threads in the block to pull out causing the head gasket to blow. Had to re-drill, thread, tap and insert new steel thread inserts using a kit called a "Time Sert" kit that was purchased off the internet. This was a major crap-load of work but because I am a skilled auto mechanic, I was able to do this after work over a 4 month period. Now the car works fine but I can only imagine what this would cost if you were to take this to a dealership or a standard car repair shop. I personally know of more than 5 other Camry's with this same problem and have read about more than 50 on the internet. Good luck! Warning: This is still alot of work. Make sure you know how to tap a bolt. Its easy to break a tap...then your tapped from behind!